I have 2 accounts suspended. I was dropshipping calculators on both, then got suspended because they said 3 random listings were inauthentic. ⊗⊗⊗⊗ calculators don't even exist and some of those items I didn't even have a sale. Therefore I don't think it was competition reporting me. I did research and I think its because I was doing too many sales on a new account (100 on each with the first month), so they requested invoices. Explained the situation anf sent screenshots of my orders & would get the same automated response. Let me know if you can help. Heres more info on each. 1st acc: suspended 6 months ago, have sent around 15 emails, a few appeals, I think they blocked my email as I have not gotten a response on the last few emails. Told me that my 90 day appeal wasnt good enough and will hold onto my money. Is it best to hire a lawyer, as it is over 5 figures total and I really need this money atm. I just recieved this email on the first account though, which gives me hope as I have not heard from them in over a month. I’m a member of the Amazon Product Quality team. Jeff Bezos received your email and I am responding on his behalf. We received your submission but do not have enough information to reactivate your ability to sell on Amazon at this time. We are reviewing your Amazon Seller account for the reason(s) listed below. In order to ensure that customers can shop with confidence on Amazon, we routinely request additional documentation from sellers to verify their account information and confirm authenticity of certain items. -- Copies of invoices, receipts, contracts, delivery orders, or authorization letters from your supplier issued in the last 365 days. The quantity of items shown should match your inventory. -- If you are not the brand owner, provide an authorization letter and a complete set of documentation, including authorization letters, to prove a valid supply chain. -- If you are the brand owner, provide a copy of the brand registration certificate, and business license or personal identity card. -- Contact information for your supplier, including name, phone number, address, email, and website. You can send .pdf, .jpg, .png, or .gif files. These documents must be authentic and unaltered. We may call your supplier to verify the documents. You may remove pricing information, but the rest of the document must be visible. Please submit this information to pq-seller-assessment@amazon.com. What happens if I do not send the requested information? If we do not receive the requested information, you may no longer sell on Amazon. Failure to successfully appeal this decision may result in us permanently withholding any payments to you. Last edited by ErkDaddy; 3 Weeks Ago at 05:22 PM. No, this is a buyer or a competitor who bought your item and they reported you. You have to give them what they asked for , there is no other way. Once I had a buyer who said my Pencil is ⊗⊗⊗⊗... that's right... a pencil. A generic pencil. The buyer is a damn idiot basically and just made up excuses to return the item. So call amazon up after you provide them with the docs you sent in. This same account implied OP? Sounds like you were reported by "buyer". 1. 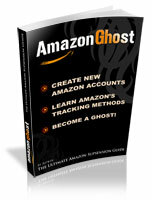 You need to give what amazon want, the invoice will be the key to save your acct. 2. You need a perfect appeal letter for this, you need to proof your products are authentic, and explain why the "customer" reports you. Finally you need a future action plan and let amazon knows you have figure out your mistake and how you gonna improve. 3. Once you sent the appeal letter then you wait. Do not keep sending them emails, or they will just tell you that is final decision and they will not response. Update, i think the email to jeff did the trick as they are going to release my funds on the first account next week!!! Thats awesome!! Glad you were able to get this resolved.